Zinc ions in solution with K2Hg(SCN)4 form these crystals. Zinc in solution can be detected with potassium-mercury thiocyanate (K2Hg(SCN)4). These crystals are characteristic of that reaction. For this test a small crystal of K2(HgSCN)4 is added to the solution. 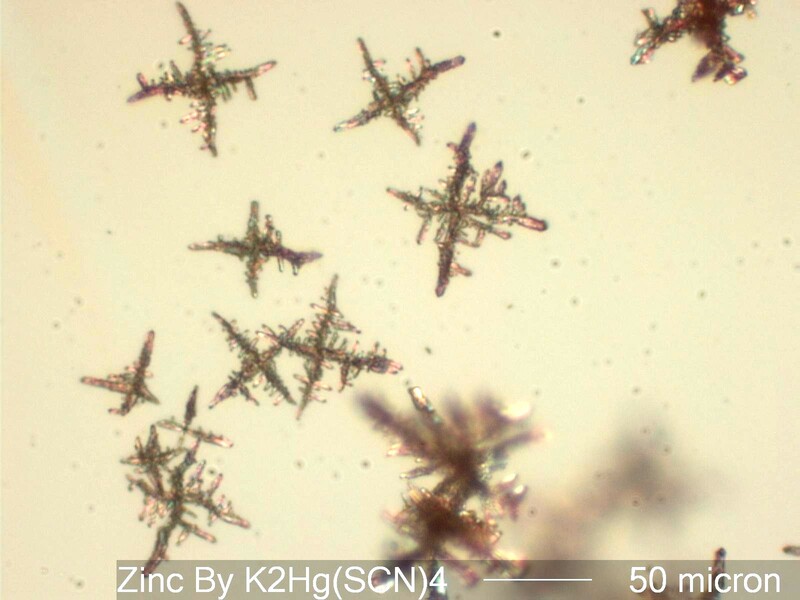 The result are these crystals of ZnHg(SCN)4. Chamot, Emile Monnin and Clyde Walter Mason, HANDBOOK OF CHEMICAL MICROSCOPY, Volume II, pp. 136-45, 1940.